This is the world's most fun recreational game, "Shark Boom". In this social game, you can make new friends, who can join you on your dangerous adventure. In this recreational game, you can raise pets, who can help you build and protect your dream island. 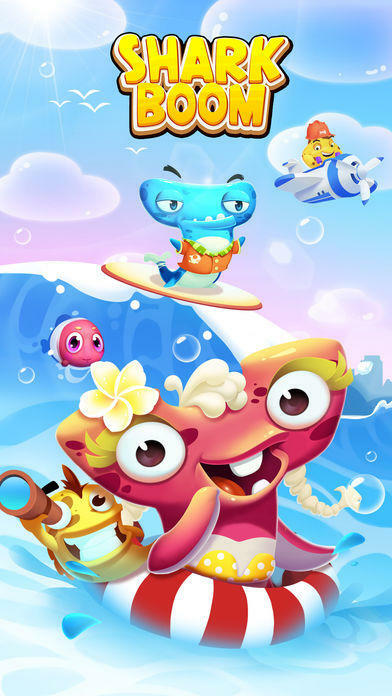 The game's cartoon, 3D and relaxed style will help you have a great gaming experience. 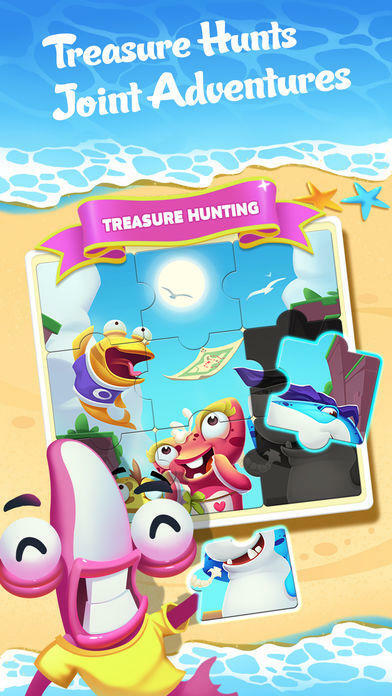 "Shark Boom" is 2016's most entertaining game, the best social game on the market, girls' favorite game and the easiest game for boys and girls to become friends! Save gold, defend against enemy sneak attacks and create your own dream island! The competition for wealth will unfold to see who will be the richest person. Unrivalled collection of cute pets! 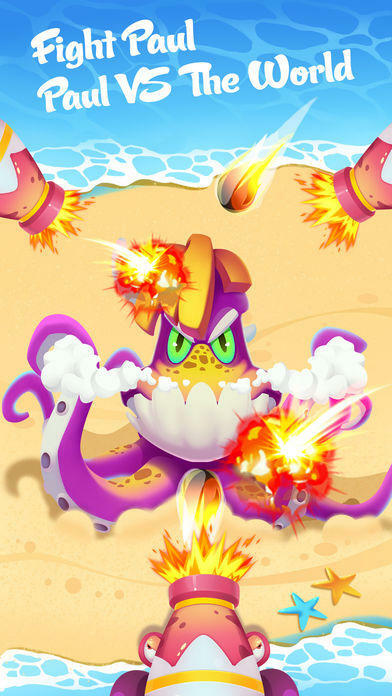 Electric Eel, Octopus, various small starfish and more, with multiple abilities, give you a rich experience and help you protect your islands. Oceans are waiting to be conquered! Newly themed islands, holiday themed islands and mysterious tribes from the Ice Age, Sea World and Jurassic World allow you to travel through time. Spin the Lucky Wheel to continuously receive great surprises! 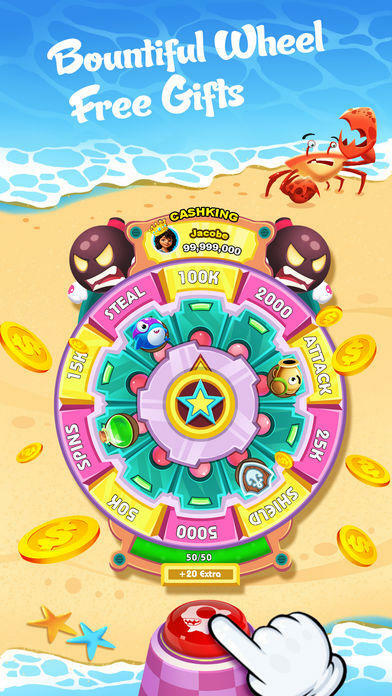 Spin your wheel to gain pirate treasure, but keep an eye out for enemy revenge attacks. Real-life friend battles to see who's the best of the best! Invite your Facebook friends to flaunt your space and build the strongest home! More amazing gifts are waiting for you to collect. Separate Rich and Evil rankings! Will the richest person be the most evil person? Various game modes are waiting for you to play! The more friends you have, the more fun you will have! 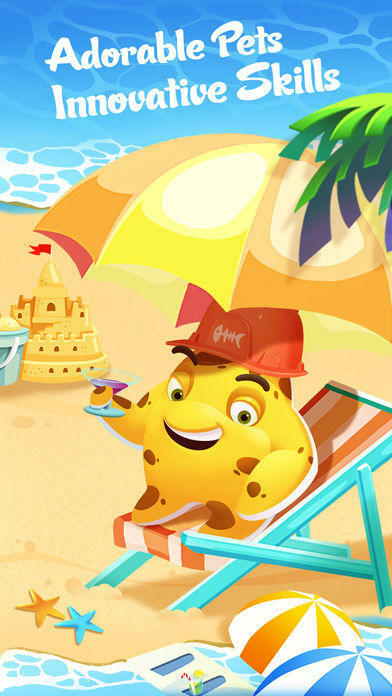 Right now your King is on the island! Come play now! New and original themed islands, holiday themed islands and mysterious ancient tribes allow you to travel through time. Use tokens to buy items. The newbie guide will bring players a brand new experience and help unlock pets!